Ubuntu 19.04 Disco Dingo beta now available, stable release coming in April. Like sands through the hour glass, so are the releases of Ubuntu. The folks at Canonical push out a new version of the popular GNU/Linux distribution every six months, and the next one is scheduled to ship April 18th, 2019.But if you want to get an early look, Ubuntu 19.04 beta is available for download starting today.While Ubuntu 19.04 is a relatively minor release, it should include a number of bug fixes and performance enhancements. 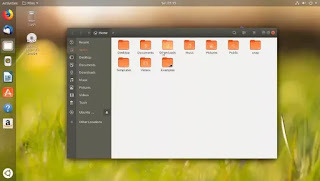 It’s also the first version of Ubuntu to use the recently-released Linux 5.0 kernel and the default Yaru theme has been updated with better-looking icons for third-party applications.